As one of the rising stars of children’s illustration we wanted to give you an insight into how Hannah approaches her projects. 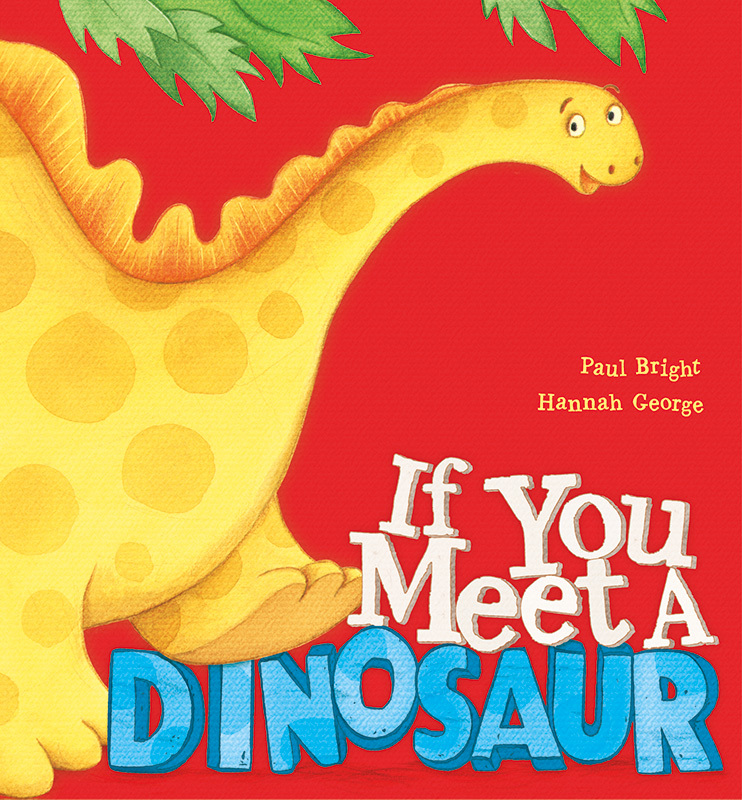 Here are a few of her thoughts about working on ‘If You Meet Dinosaur’ written by Paul Bright and published by Little Tiger Press. I was really excited when I found out I was going to work on this book! Dinosaurs are an illustrators dream to draw! Humour always appeals to me in a story and this one certainly has a lot of it! I started off by doing lots of research. 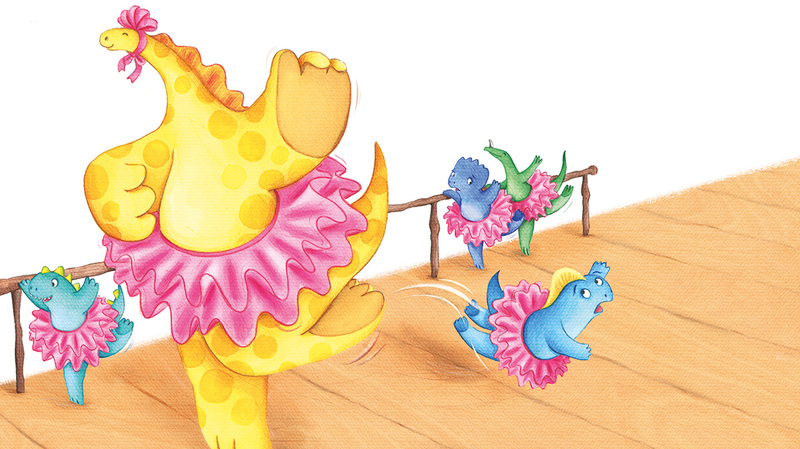 Even though the dinosaurs in this book are all imaginary I used real dinosaurs as a starting point. 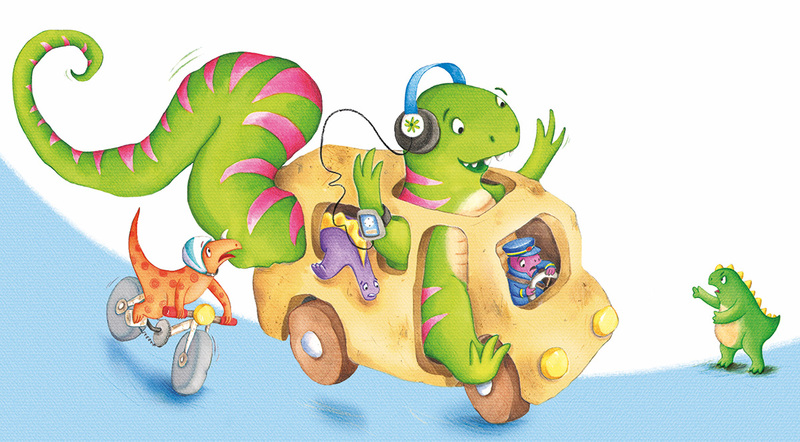 The Waggosaurous for example is loosely based around a T-rex, but he’s a jolly character who loves to dance and wiggle his tail, so to make him look really funny I gave him some headphones, an ipod and an enormously long tail, which causes miss-hap in the story! After my research I did initial sketches for each character. These were bounced back and forth between the publisher and me until we’d got them right. 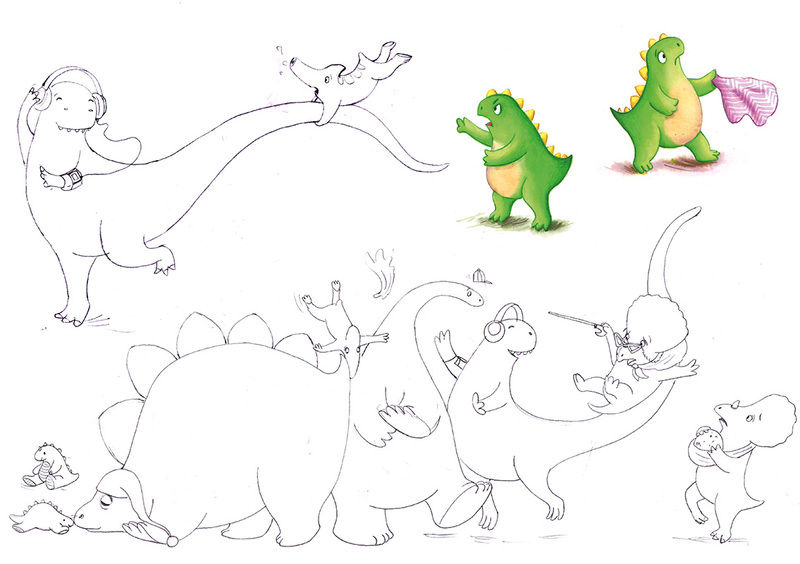 I really had to push myself out of my comfort zone to create the silliest looking dinos ever! 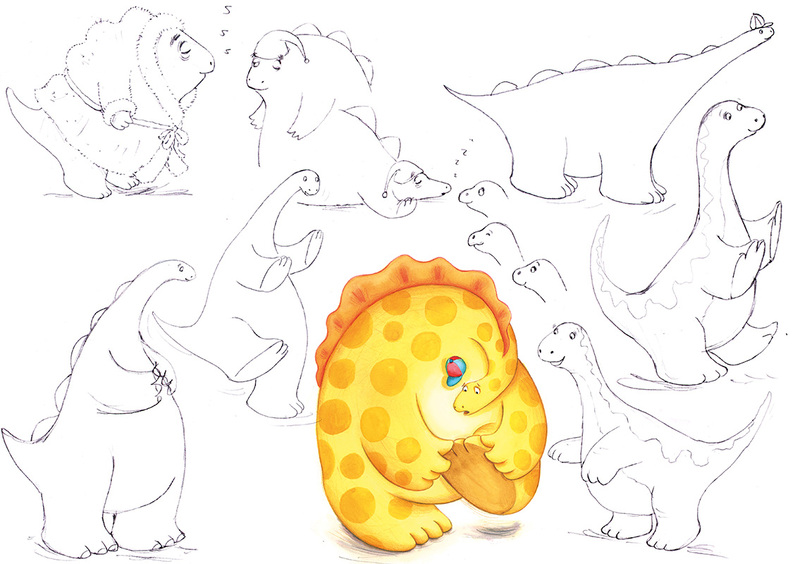 I remember doing so many sketches of Noseysaurus! His nose just kept on getting longer and longer, like Pinocchio! Once the character sketches were approved, I worked up colour roughs. I had to keep the page layouts quite simplistic to appeal to a very young audience; I’ve previously worked on slightly older titles where I love to add little elements and details wherever I can. 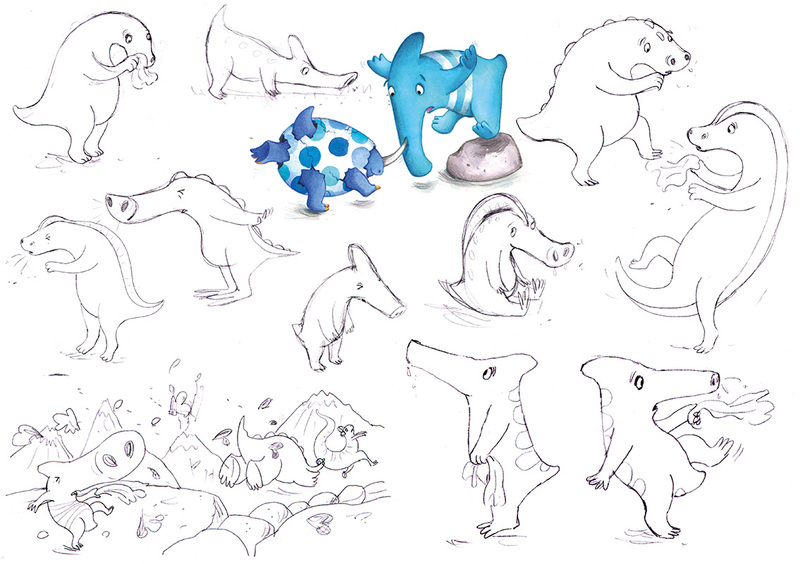 To create the final illustrations I worked predominately in watercolour and pencil. I scanned in my artworks, tweaking and refining them adding a few textures and patterns until I felt they were complete. 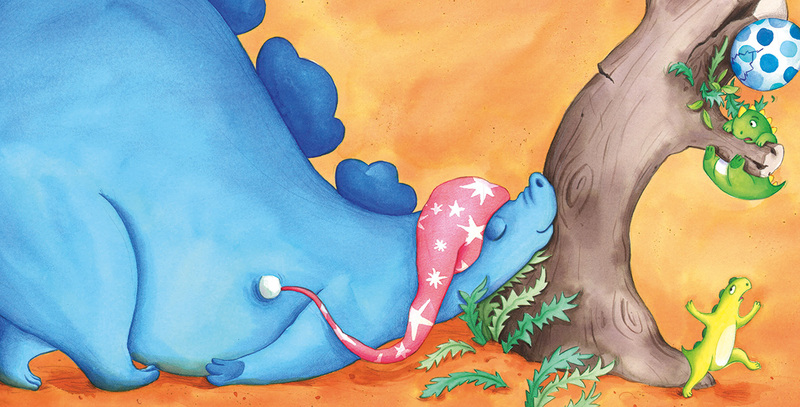 I really loved working on this book, the humour of the story and the dinosaurs made it a brilliant project to work on. To see more of Hannah's work click here. Hannah George is represented by Kids Corner. Published on 25 July 2014.